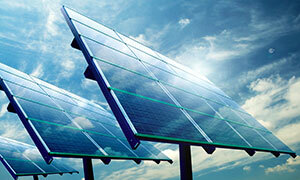 Recognizes many sources of renewable energy utilizing various technologies. Sets a target of 12% renewable energy production by 2015, and 15% by 2020 with a requirement for retail energy providers to establish a plan to reach 20% renewable energy production by 2035. Financial Incentive – Establishes Renewable Energy Certificates (“RECs”) as legally-recognized assets that can be purchased, sold, traded, and transferred separately from electric power. Mandates the implementation of a renewables registry, an electronic platform to manage the issuance, tracking, and trading of RECs. Creates a permanent Renewable Energy Commission as an oversight entity focused solely on the implementation of the RPS. Through the GEF, the Puerto Rico Energy Affairs Administration will offer cash rebates of up to 60% on the cost of installing Tier 1 or small projects (0-100 kW) for residences and small businesses and up to 50% on the cost of Tier 2 projects (100kW – 1 MW) for commercial or industrial use. 100% exemption from income taxes for dividends paid from income derived for renewable energy activities. The GEF also provides flexibility for the government to establish new investment or incentive programs in the future.